Series 2 has tons of new keyword skills that let you combine cards for even more power! 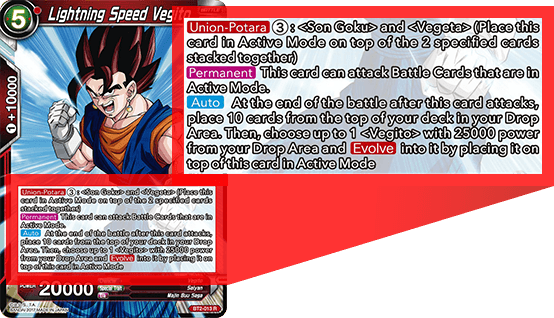 Play this card by fusing Son Goku and Vegeta together! And unlike Evolve, you can play it in Active Mode! 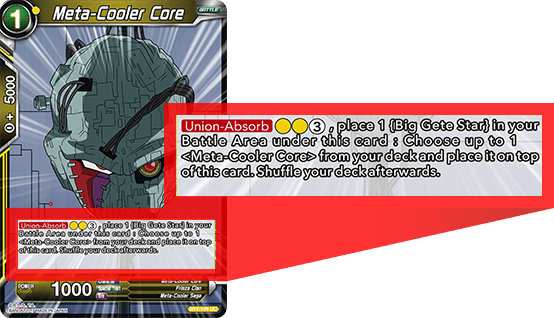 Union-Absorb is a skill that allows you to use specific cards to play even more powerful cards! 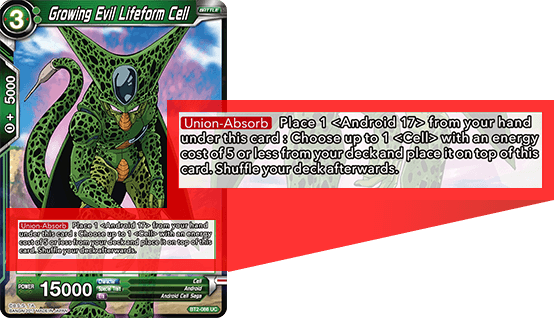 Cell absorbs one Android after another to power up, just like in the show! Another Absorb skill, this one depicting the fusion of the Big Gete Star with the Meta-Cooler Core! 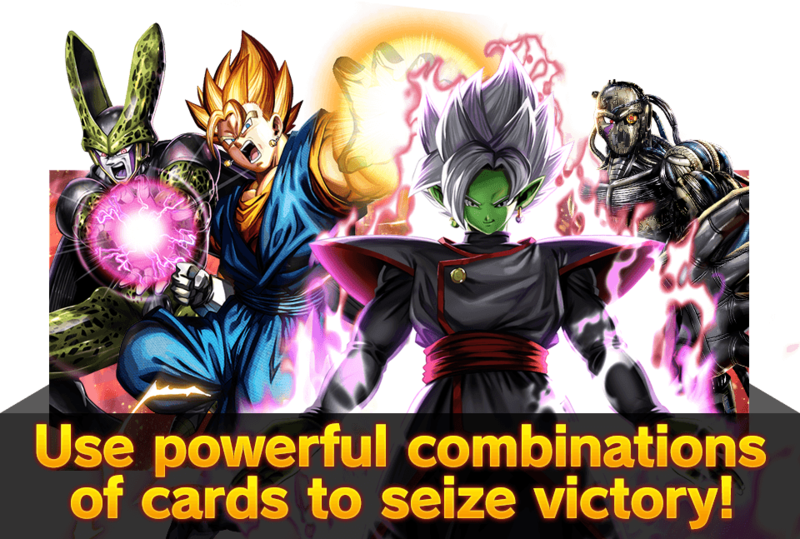 After the fusion is complete, you can play an even more powerful Meta-Cooler Core!